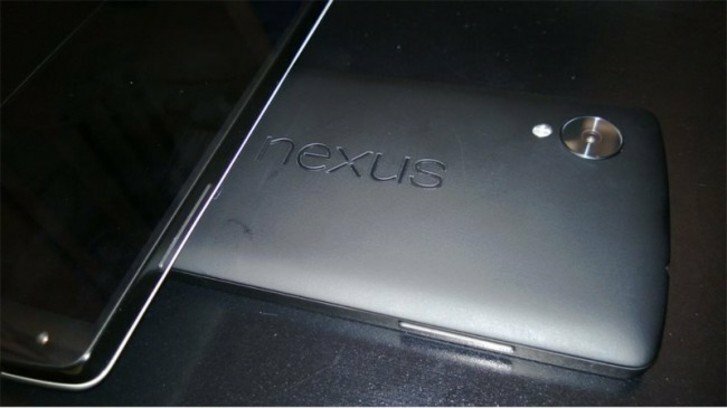 The Nexus range is quickly becoming one of the most leaked device sets on the web, with new rumours and leaks coming out surrounding the LG powered Nexus 5 today. Todays rumour comes via a forum member on MacRumours, who claims that he actually has his hands on the new Nexus 5. Going by the name of ‘Weespeed’, the user shared a photograph which appears to confirm the rumours that we’ve been hearing. The main rumour surrounding this device is the lack of differentiation from the last, in an almost iPhone 4 / 4S style. So we’re looking at a black relatively bland device, complete with a large camera and a prominent nexus logo. Its long been assumed that LG will follow the design template laid out by their G2 smartphone. The specifications were always going to be similar, and the G2 has been largely well received. According to Weespeed, the Nexus 5 will be a slightly smaller version of this handset though, which somewhat dispels the idea that the shell of the phone will be a carbon copy. It seems that the design spec laces it in line with the Nexus 7 2nd generation, where the build quality is broadly considered to be ‘ok’. The devices display does seem to be a point of dissatisfaction, which is somewhat strange. In the early days of the Nexus range they were plagued by poor quality displays, and have subsequently worked to dramatically improve them. All of that said, these devices operate on the affordable end of the market, and some payoffs are to be expected. Nothing released by Weespeed contradicts what we’ve already learned about the 5. There was the Google employee caught holding one at a Google event last month, and the FCC have also been the source of some solid information. All of this combines to make the Nexus 5 one of the more leaked devices, especially for an as yet unannounced device. The info shared by Weespeed was later removed from MacRumours, but the information was captured by Droid Life. So now we’re only missing the devices launch date and price point The weekend provided us with the spec’s pointing to a 5 inch display which will be powered by a 2.3GHZ snapdragon 800 processor. The device is rumoured to include a 8mp rear facing camera alongside a 1.2MP front facing camera. The device is set to feature 2GB of RAM and 16GB of built-in storage, most likely with additional micro-SD card slots too. The most likely device announcement will be October 15th when Google have an Android press-event.